Understanding how prices are quoted in financial markets will make you a better investor. At any given point, a stock, bond, option or any other financial instrument that is actively traded will have a bid and ask price. These figures show the cost per share of buying or selling that asset. In addition, you will see numbers next to the bid and ask quotes that tell you how many shares of the asset you can trade at that price. The difference between the bid and ask price is called "the spread." The numbers next to the bid and ask quotes inform market traders how many shares of a particular asset can be bought or sold at that particular price point. The bid and ask prices you see on a finance portal or on your broker's trading screens are the prices at which you can immediately transact a purchase or sale. Assume you see a bid of $20.1 and an ask of $20.2 for a particular stock. This means an individual or institution is actively searching for that stock and has committed to pay $20.1 per share of that stock. If you wish to sell at this price, you can immediately do so, since $20.1 is a legally binding purchase price for as long as it appears on your screen. The $20.2 means that someone who owns this stock has put it up for sale at $20.2. If you want to buy the stock, you can immediately do so at this price. The figures you see next to the bid and ask prices are the quantities of assets you can buy or sell at these levels. These figures are known as bid size and ask size. There is often an X (standing for "times") between the price and the size. If you see "Bid: $20.1 x 20,000 -- Ask: $20.2 x 5,000," this means that i20,000 shares can be sold at $20.1 and 5,000 shares are available to buy at $20.2. A single trader might be responsible for the figures, or those figures might represent the sum of the orders of multiple traders. The bigger your order, the more important it is to keep a close eye on the bid and ask sizes. If the amount you wish to trade exceeds the bid or ask size, you may have to execute some of your order at a less favorable price. Assume you want to buy 10,000 shares and are willing to pay, at most, $20.2. Since only 5,000 shares are available for purchase at this price, part of your order, 5,000 shares to be exact, will remain unfulfilled. As soon as you buy 5,000 shares and exhaust the ask at $20.2, the screen will display a higher ask price and a new size, which is now the lowest price someone is willing to sell shares at -- say $20.3. You can either pay $20.3 for the remaining 5,000 shares or wait until someone else comes along willing to sell shares at $20.2. Even if the bid and ask sizes are below the quantity you are planning to buy or sell, they will still give you an idea about the price movement you can expect in the near future. If the bid size is far smaller than the ask size, the asset's price is likely to decline; if the ask size is far smaller, it is more likely to advance. This is because as these sizes are exhausted, the next best prices become available. If the bid is exhausted, the next best price is a lower price, while the next best ask price is a higher one. Equities that are scarcely traded usually have a wide spread between bid and ask. Conversely, highly traded stocks may have very thin spreads. Investopedia: What Do the Numbers That Follow the Bid and Ask Numbers in Stock Quotes Represent? Can You Tell the Direction of the Stock Price by Looking at the Bid vs. the Ask Volume? 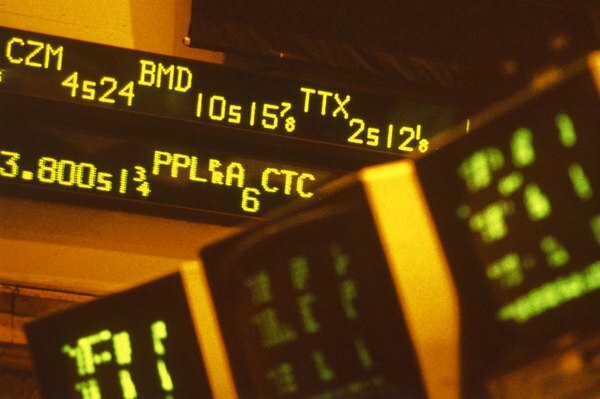 "In Buying Stock, What Does the ""Ask Price"" Mean?"